Furry feline friends are the source of joy for a lot of owners, but they can also display behaviors that aren’t welcomed. Unlike dogs, cats are hard to train. To correct unwanted behavior, you need to be present when it occurs and have a strategy in place. 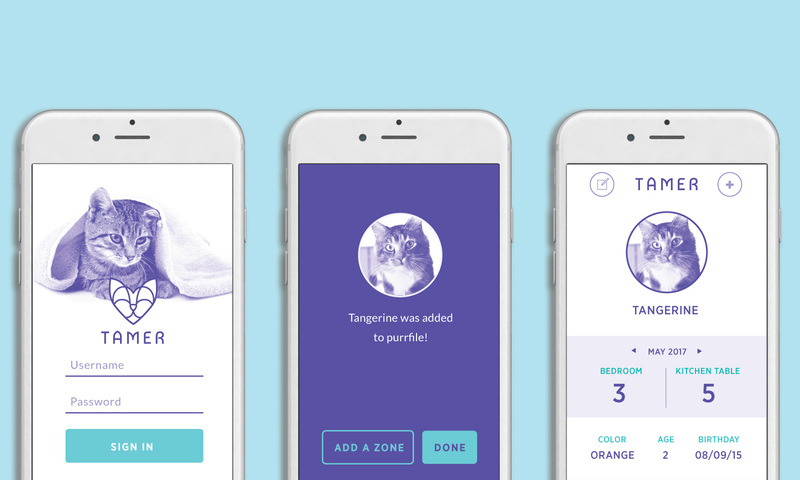 Tamer is an app-driven set of devices that uses ultrasonic sound to positively or negatively reinforce a certain cat’s behavior. Tamer sensoring devices can be programmed to create “purr” or “hiss” zones that will sense cat’s presence and respond accordingly without the owner being present. Tamer also lets owners train their cat in real time. According to the Spring 2015 Simmons National Consumer Study from Experian Marketing Services, 25% of US households own a cat. In 2015, 65% of the total cat owners in US were females. Estimates are that between 65 and 80% of owned cats are female. 63% of cat owners report that cats are considered to be "part of the family." 1. 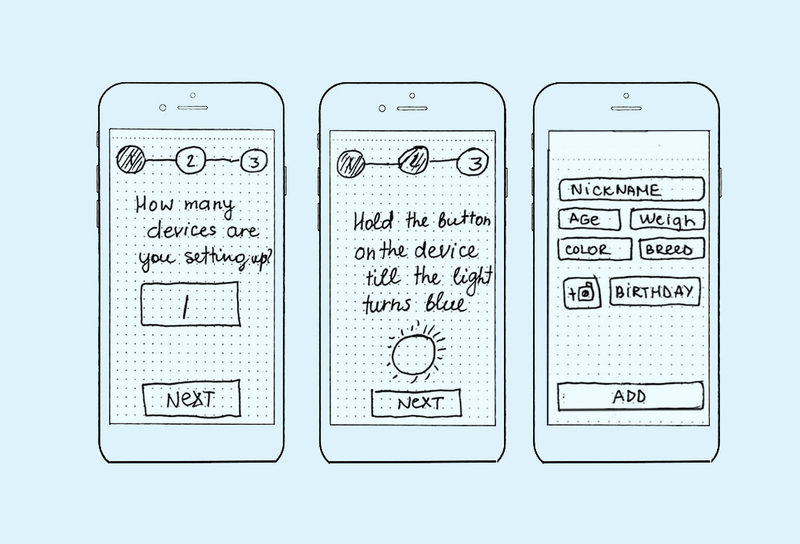 Wireframe stage: Onboarding had too many steps that prevented users from using the app in the beginning. As a result, the process of adding a zone was taken out of onboarding and became an option that user can select once inside the app. 2. 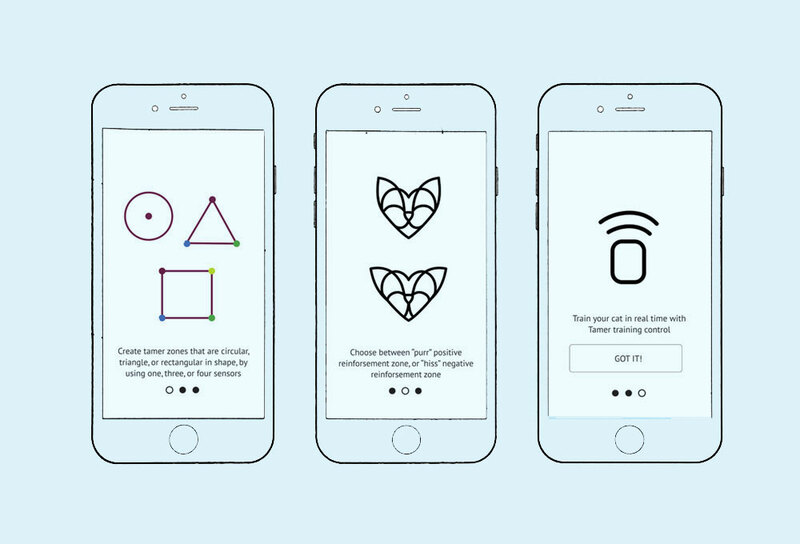 Wireframe stage: Because of the blue glow around the icon, users assumed that they had to hold and press the button on the screen, not the device itself. The instructions were re-worded to be more clear and the illustration was changed to look less like a button. 3. 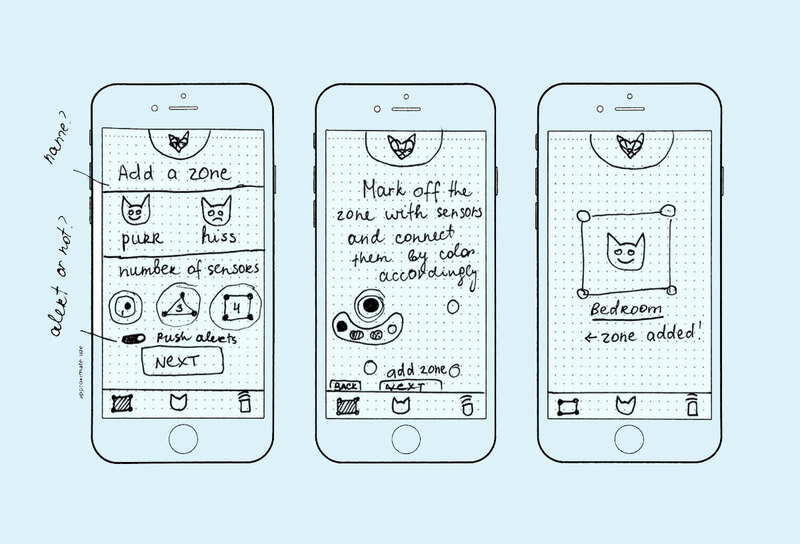 Wireframe stage: It was hard for the user to tell the visual difference between HISS and PURR icon quickly. The icons were changed to be more visually distinct. 4. 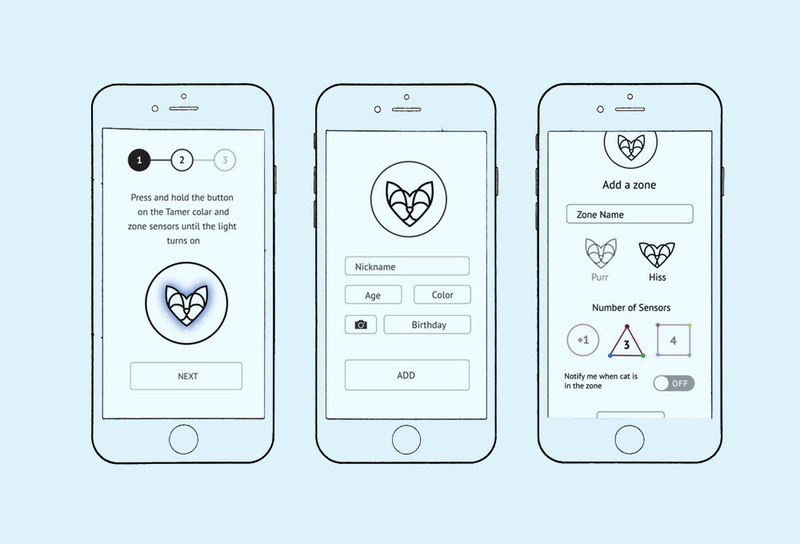 Wireframe stage: The icon version of the logo was replaced with the type one so it's not ditracting users from other information inside the app, especially the icons that look similar. The video will restart in 2 sec.